The excitement of voting for the #GreatestCdnAnimal is ruffling some feathers! The title is a responsibility worthy of Canada’s 150 years; just ‘whooo’ does represent our nation? 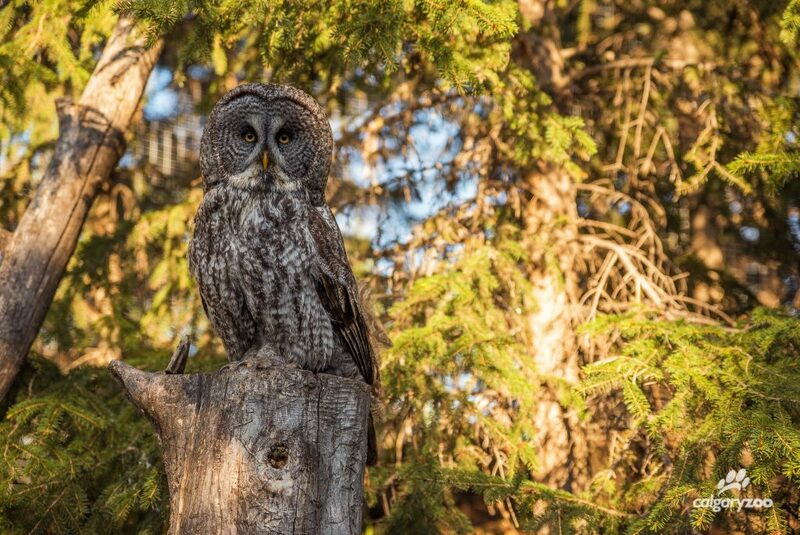 Visitors could find themselves looking for the wise choice in the great grey owl. Life’s a hoot for the largest owl in continental North America! It doesn’t call itself great for nothing. For those seeking the true meaning of spectacle, this wise guy can be seen perched in trees all the way from Victoria to Quebec. With its distinctive piercing yellow eyes, broad face, and dappled silvery grey feathers, this beautiful bird is dressed to impress. In fact, many say the white feathers below its face can look like a bow tie. Look up! The majestic great grey likes to perch high up, where they can survey everything going on below. Don’t be deceived by its good looks—this species is highly intelligent and blessed with great hearing. Its hearing is so good it can detect animal movement beneath two feet of snow! This master hunter flies quietly through the Canadian landscape and makes dinner of small rodents. If you’ve visited the Jihad Shibley Rocky Mountain Aviary at the zoo, you know that by the time you spot these silent birds, they’ve already spotted you. Look out- great grey owls have fantastic senses. A visit to the zoo’s Jihad Shibley Rocky Mountain Aviary proves that these owls don’t miss a beat. When not tormenting small furry animals, it deals with its own threats. The great grey owl struggles against deforestation and the West Nile virus, which this species of owl is highly susceptible to. 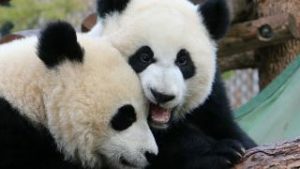 Like many of Canada’s classic species, destruction of their natural habitat is a challenge to their survival, and unites this candidate with the rest of the ‘Eh Team’ on the campaign trail. 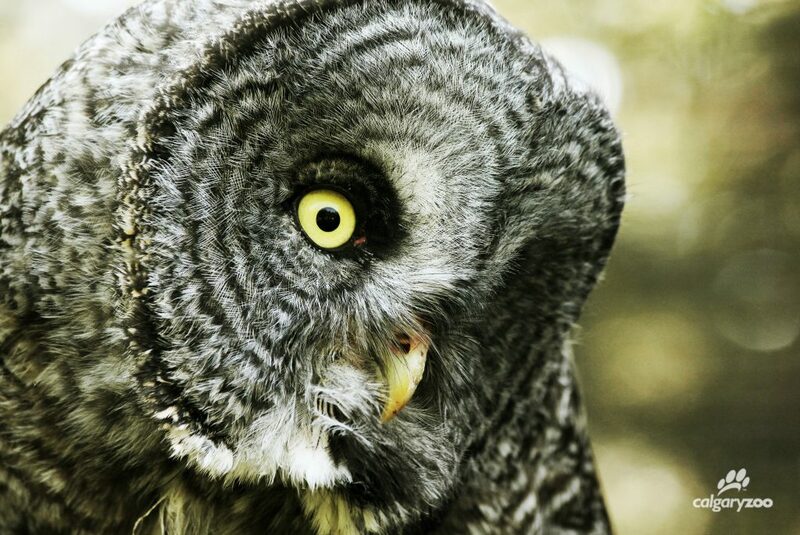 The great grey owl has a piercing stare and textured grey feathers. 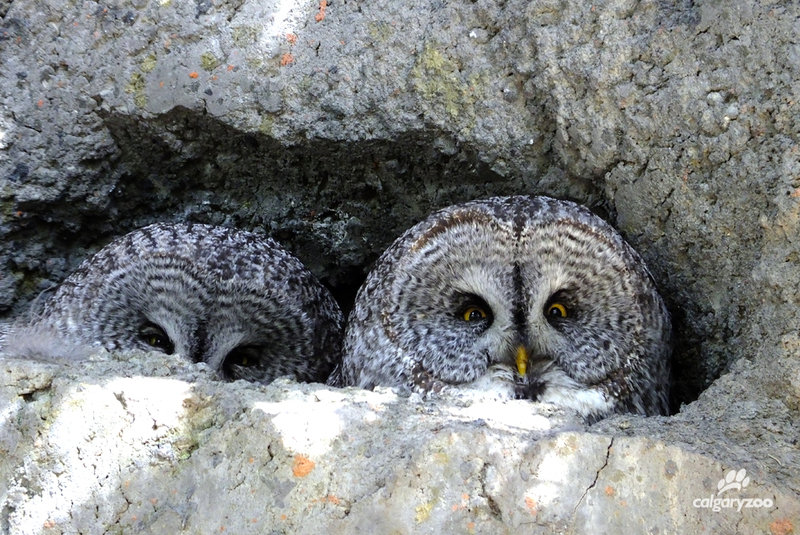 A vote for the great grey owl is a vote for wisdom, deft skill and rodent control. It’s already the provincial bird of Manitoba—just think of the possibilities for the rest of the country. Oh Canada- should this distinctive owl represent our true north, strong and free?